Happy Tuesday, it's time for another post from the Learning with Manipulatives series, this time it's all about play money! 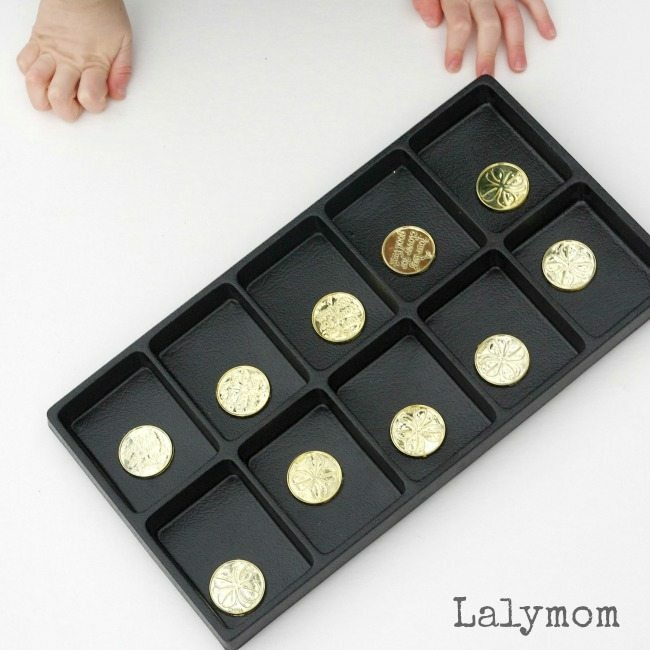 My post is about an easy Coin Flip Ten Frame Activity perfect for math centers or homeschool math time. I've added a few affiliate links to this post. This math activity could be used for St. Patrick's Day, a pirate theme, money lessons or just for fun. We have been big into ten frame activities at our house….ever since my 5 year old taught me about them! Ha! With common core math working its way into schools, I find myself learning new things as often as my daughter does. If you're in the same boat and are wondering more about ten frames, you can read this description of Place Value and this article on using Ten Frames to Teach Number Sense. As we were playing with this, I was poking around the interwebs to see who else had done ten frames with money. Turns out our friends over at playdough to plato have done a coin ten frame with real money and they have a free printable ten frame. There is also a super cute Treasure Hunt Ten Frames Game from Learning Resources that pretty much does the same thing and it's a super cute kit. Instead of using heads or tails for the markers they have 2 different color coins. 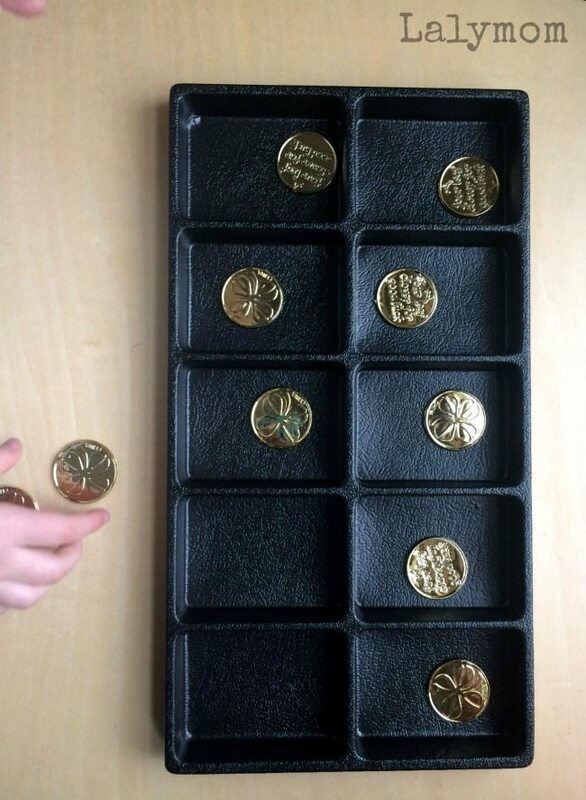 Set out the tray with ten coins. You can choose any number of ways to play. 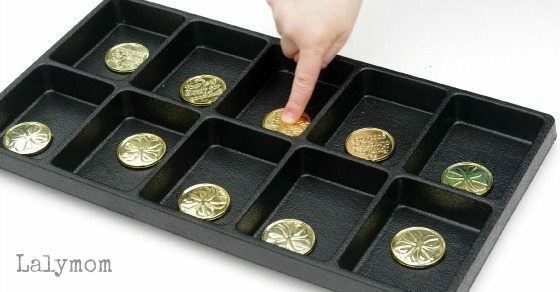 -Take turns flipping each coin, whatever side it lands on, place it into the tray like that. When you flip all ten and places them into the tray you can count up how many heads and how many tails you got. -You can just have free play to see how many ways you can make ten with the various combinations of heads and tails. 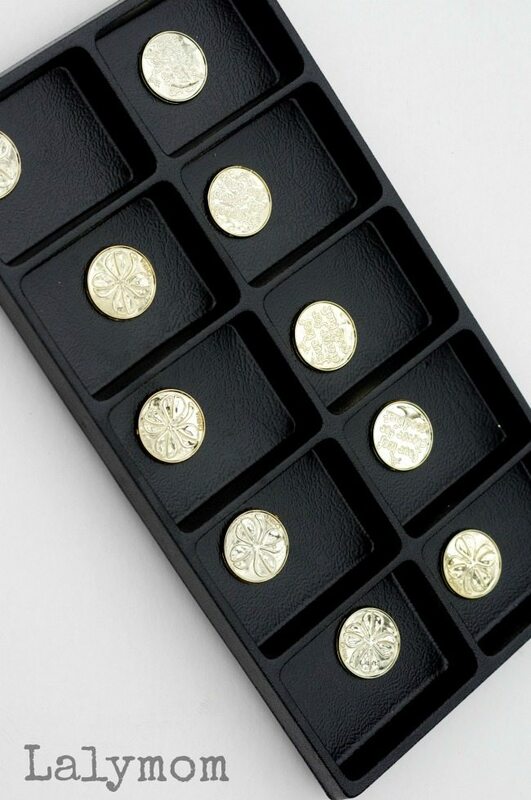 -Roll a game die to determine how many heads to place into the tray, then fill the rest with tails. Playing cards can be used in place of the game die. How would you play with this ten frame activity? Let's hear it in the comments! 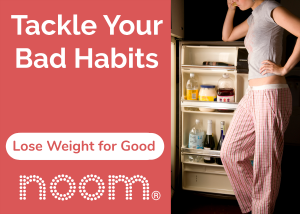 For more ways to learn through play with play coins, click through the activities below!